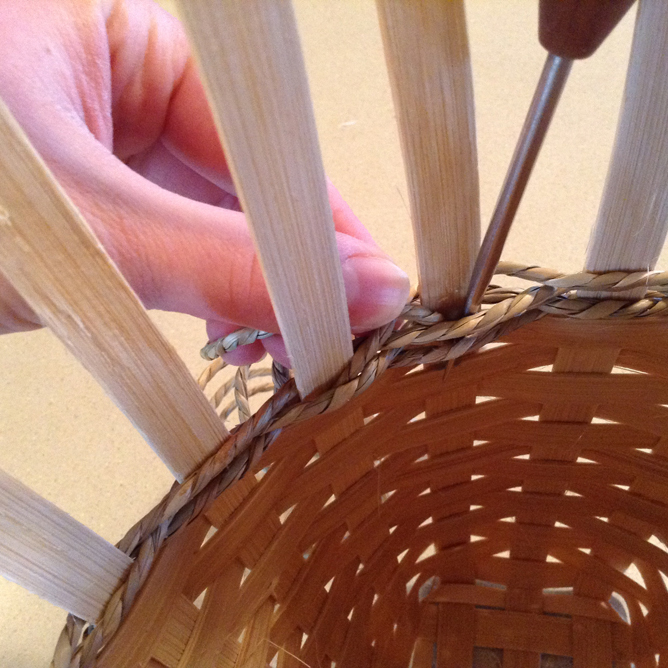 In order to add variety in the decoration and style of your weaving, some patterns will call for a different method of weaving the sides of your basket. One of those techniques is called the continuous weave. In this tutorial, we’ll teach you how to accomplish a continuous weave with sea grass in a Magazine Wall Basket. 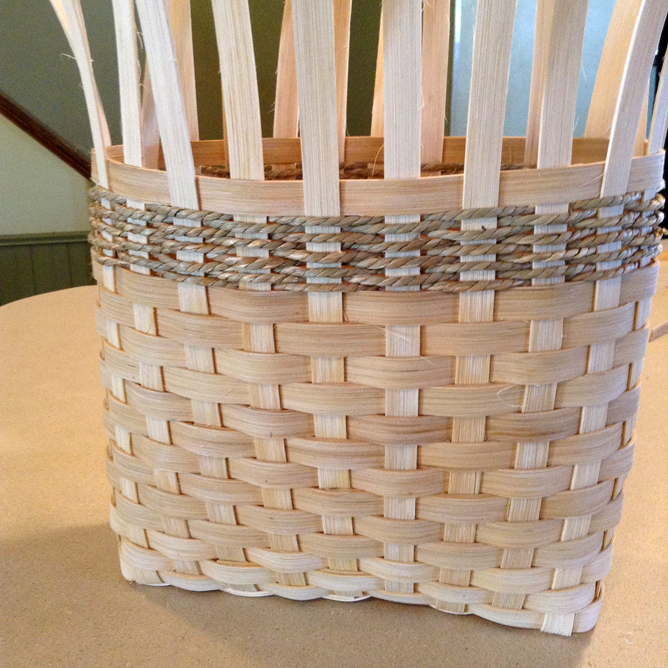 A continuous weave means that you won’t start and stop each row of weaving; instead, you skip a stake on each row to use one long weaver for every row. 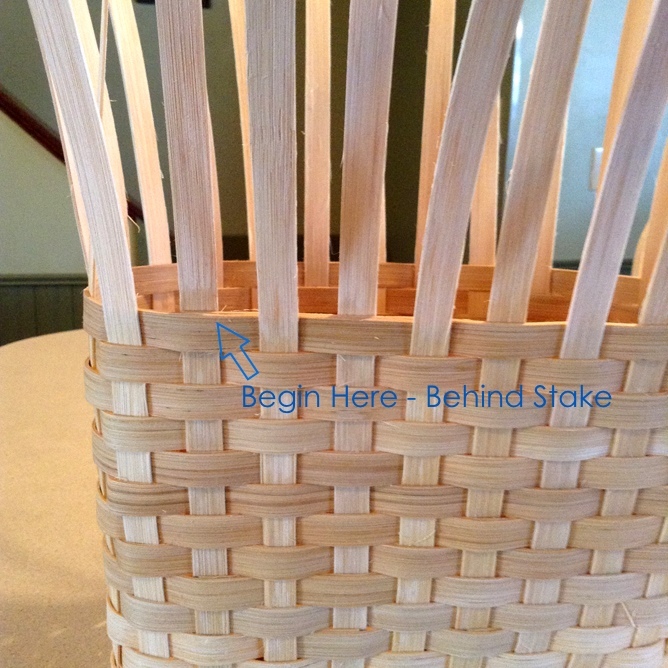 Step 1: To begin, identify how many rows of continuous weave the specific pattern calls for. In this basket, there are to be nine rows of sea grass. That means that I will need to calculate the place to start based on having nine stakes available without starting or ending on a corner. Step 2: Start the sea grass weaver by simply holding it behind a stake where the previous weaver was in front. You want to weave with the sea grass, so be sure that you’re weaving in and out of the stakes opposite of the previous row. 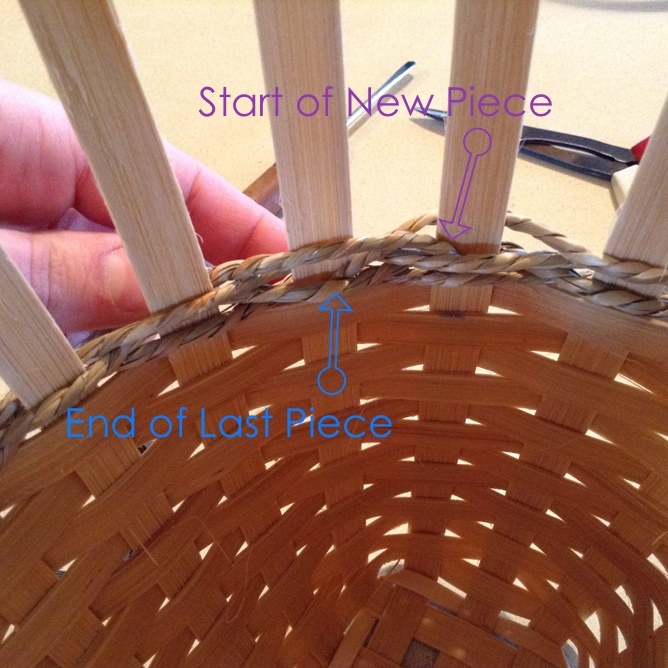 Holding the start of the sea grass in place, weave all the way around the basket until you return to the start. Helpful hint: It’s easy to pull in tighter while using sea grass in a continuous weave. 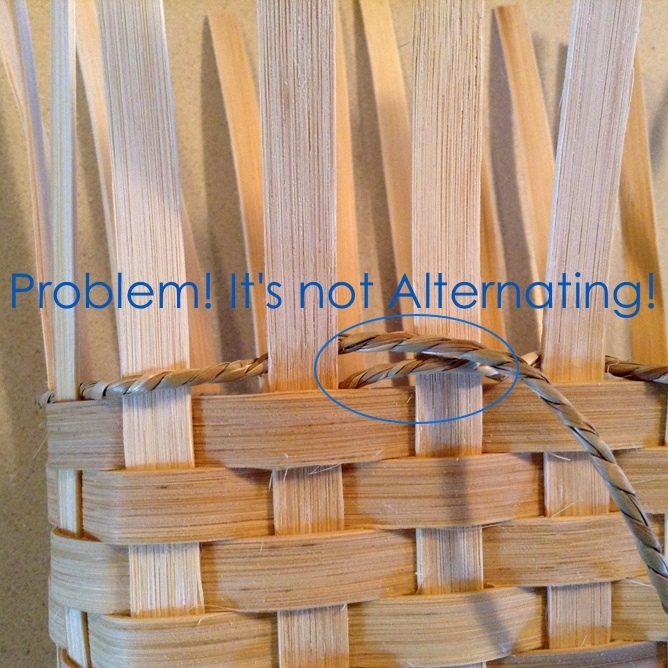 Be intentional about keeping the spaces the same size as the previous rows of rattan reed if you don’t want the sides of the basket to pull in! Step 3: Because this is a continuous weave, you’ll return to the same stake you started on, and if you don’t follow this next step, you won’t alternate the second row of sea grass from the first. 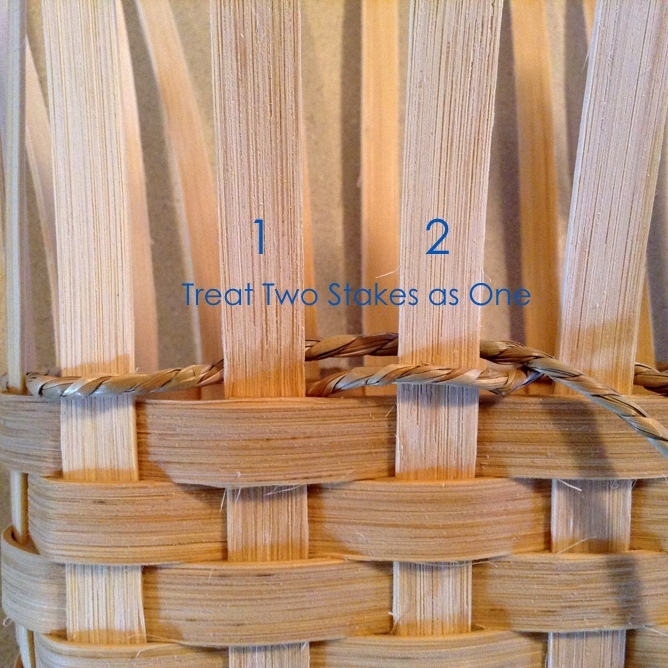 In order to alternate rows, you need to treat two stakes like one and skip an opening to weave through the second space, creating the alternating pattern by weaving opposite of the first row of sea grass. 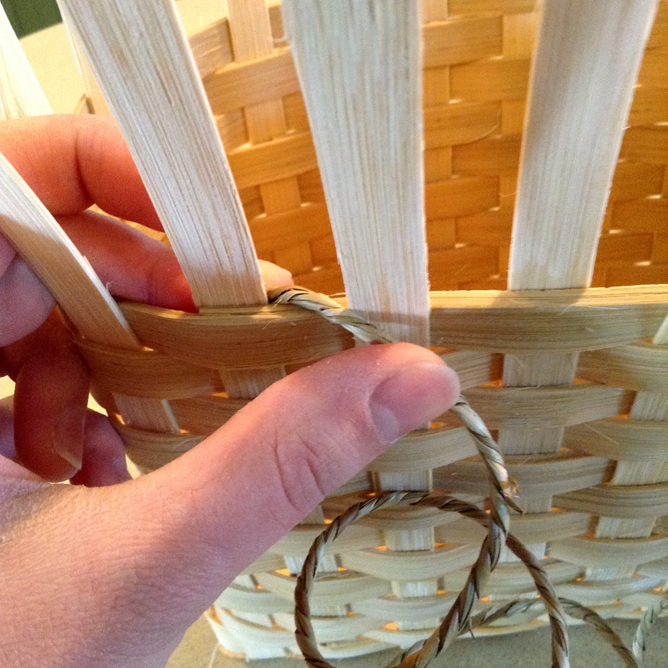 Step 4: Continue weaving all the way around the basket until you return to where you went behind two stakes. 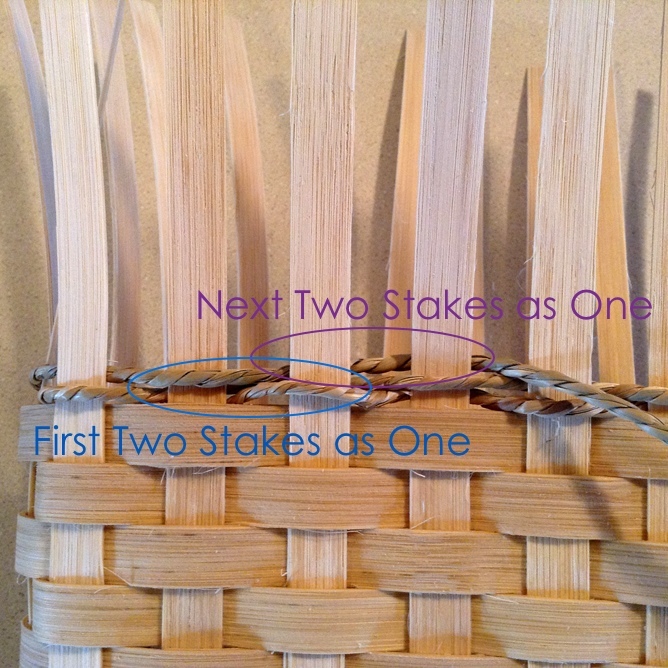 This time, treat the second stake and the next stake as one to alternate the weaving row. Continue weaving your assigned number of rows, each time treating the next two stakes as one to alternate the pattern for each row. 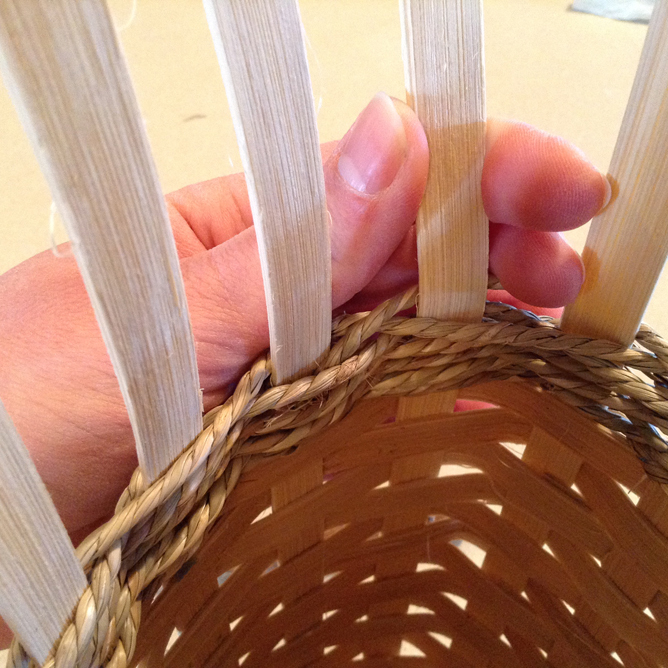 Step 5: While weaving, your sea grass might be too short to finish. This happens because continuous weavers often are supposed to be many feet long. It’s not hard at all to piece weavers together in a continuous sea grass weave. Use the sea grass until you can run out on the inside of stake. Cut it with a small tail to tuck into a couple rows below. To start the next piece of sea grass, back up to the stake just before you ended your last piece. Tuck the beginning of the next weaver under the most recent row of sea grass, being sure to continue the flow of the weaver. Don’t change the in/out pattern of the previous piece. Step 6: Continue weaving until you have the right number of rows. End the weaver where you have the right number of rows and before one more stake would make it too many rows. Cut and tuck the end of the weaver down into a few rows of the sea grass, and you’re done!